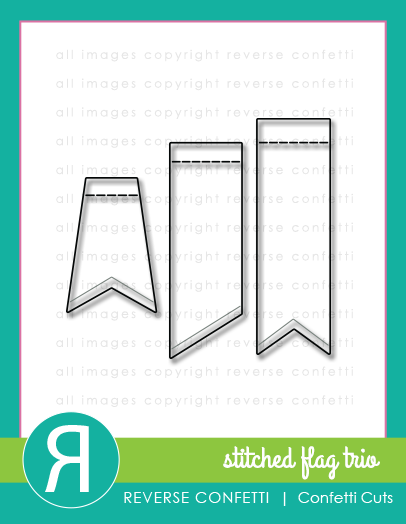 Reverse Confetti - You're So Cool! 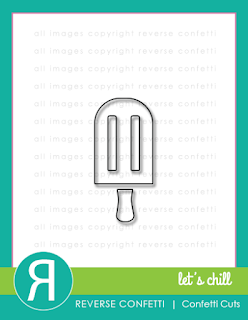 With the summer heat, what better way to cool down a bit than with some Reverse Confetti goodies! Here are the stamps and Confetti Cuts that I used on my card today! This card came together in a snap! Using Bo Bunny's Lemonade Stand Collection, die cut two of the Documented Confetti Cuts rectangles in some fun bold colored papers, two of the Stitched Flag Trio Confetti Cuts in some chalkboard themed paper and two of the Let's Chill Confetti Cuts in a rainbow-like paper. 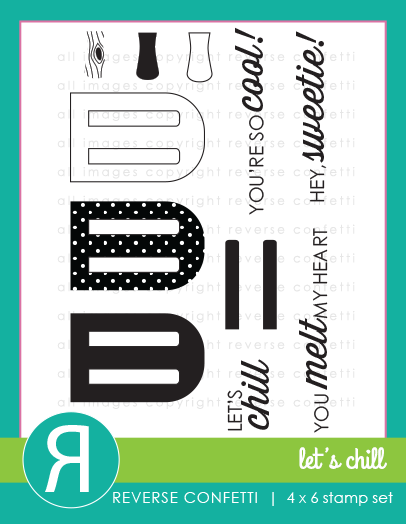 The Let's Chill sentiment is displayed at the bottom of the focal panel and a peek of black/white dotted doily finishes off this COOL card! I made this card for my boy, Ben, who is off on a Boy Scout camping trip this week. It's all tucked inside a care package that he should get in a day or two, along with some of his favorite candies and treats. There's a new Creative Color Challenge up and running over at the SugarPea Designs blog today! 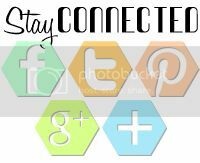 Check out this gorgeous inspiration graphic and color palette! 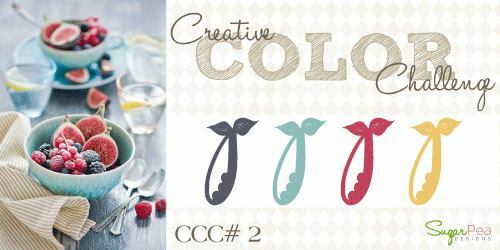 Create a new card or project using the colors in the CCC#2. 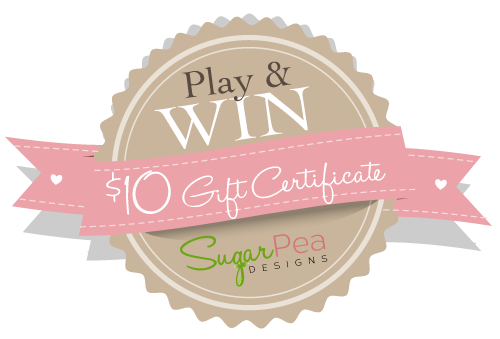 SugarPea Designs stamps are NOT required to play along or to win but would be appreciated :). Upload to your blog or other Online Gallery using Keyword: CCC2 so that we may check out your beautiful work. 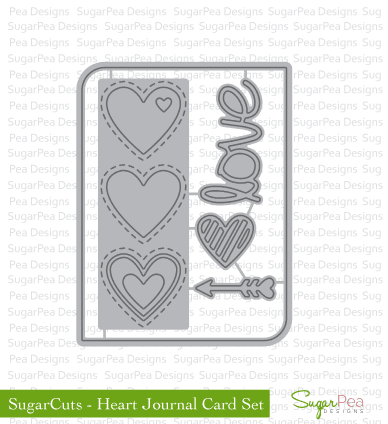 Here are the Sugar Pea Designs stamps and dies that I used on my card today! 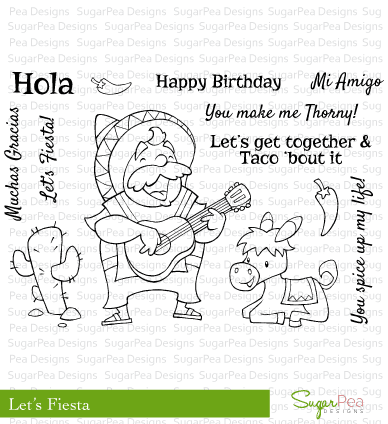 I stamped the hombre image from the Let's Fiesta stamp set and left him uncolored for a cartoon look. The SugarCuts - Heart Journal Card Set card became the main panel for the image with a SugarCuts - Polaroid Journal Card angled and peeking from behind a couple of Let's Fiesta stamped sentiment tags. 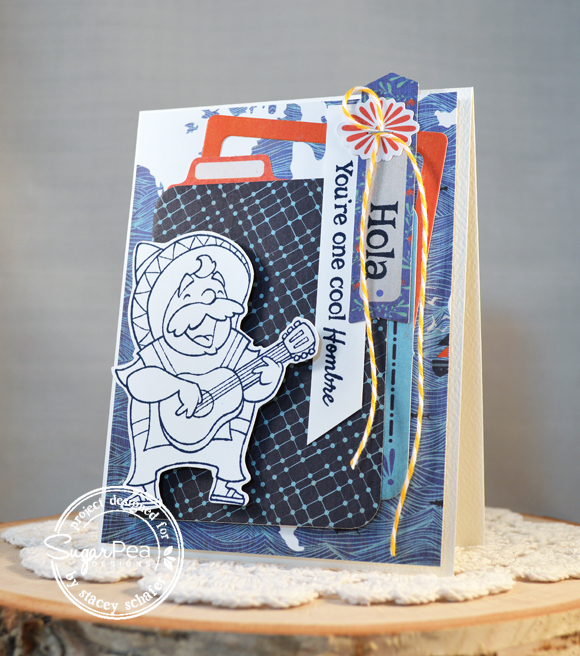 A bit of twine was added with a mini staple to finish off this fun card. 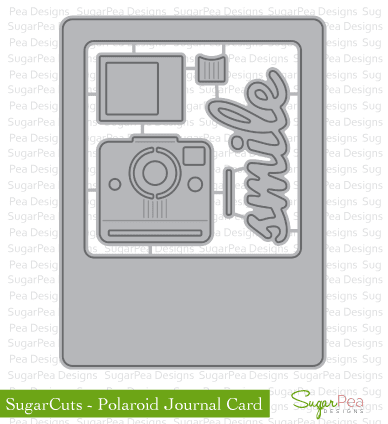 Head on over to the SugarPea Designs blog and see what the other SugarChics whipped up with today's color challenge! It's the final day of our June 2015 Verve Spotlight Hops! 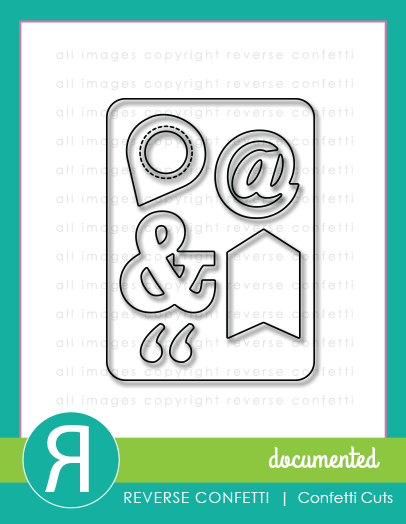 All of the stamps and dies you've seen this week are available in the Verve online store now! Sit back and relax for one last inspirational stroll as our sneaky Verve spotlight lands on Diva's choice today. And to cap off this release, we're giving away the entire release to one lucky commenter along today's hop, so come along with us as we share one last look-see at our newest release! Now, that is one FANTASTIC line-up of new VERVE, yes?! 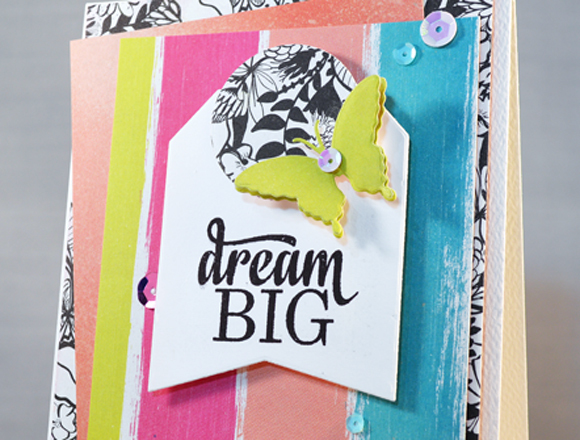 The delicate Butterfly Dreams Die Set, the beautiful Sparkly Dreams stamp set and that must-have Flourished Tag Die Set were begging for me to show them off again this week! 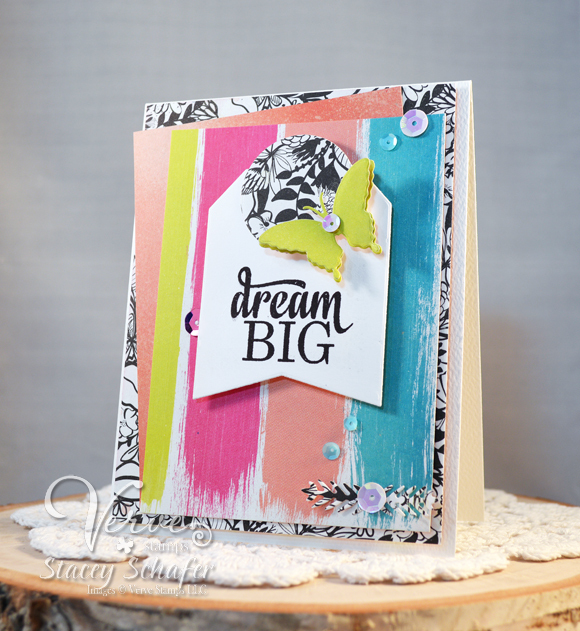 After die cutting the tag, circle, flourish and butterfly, I layered it all together in contrasting and happy colored patterns and displayed the "dream big" sentiment on the tag. To finish off the card, I added several sequins from Pink Sparkle Sequin Mix and Pastel Sequin Mix. You hopped here from Julee and her amazing creations...now, you're off to see what kind of masterpiece Teresa has whipped up for today! Enjoy the hop with all of the crazy-talented designers! Welcome to Day Five of Verve's June 2015 Spotlight Hops! Today is release day and that means all the goodies we've been previewing this week are loaded up in the Verve store and ready for purchase! 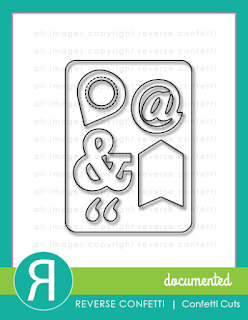 And to celebrate our big release, all stamps & dies are 10% off! Hooray! We're still hopping today and tomorrow, with prizes to be won, so if you missed any of the days, you can click these links for our Day 1 and Day 2, Day 3 and Day 4 hops. Commenting on all of our spotlight hops is open until June 21. There's a chance to win new products each day, so be sure to hop around and leave a little love for the oh-so-talented Divas and special guests! Want to win some shiny new Verve? We'll be picking a random commenter on one of the Day 3 Hop spots to win today's featured products! Our prize drawing will be open until 8pm Mountain on Sunday, June 21. Just leave a comment on the blogs linked below and you'll be entered to win! 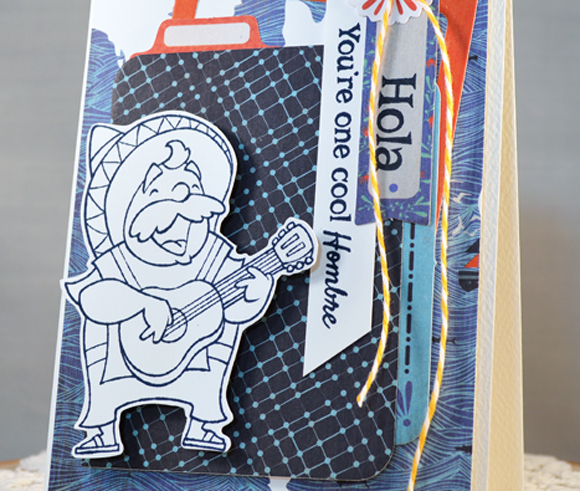 With Verve Stamps, you can ALWAYS count on gorgoeus and inspirational goodies! 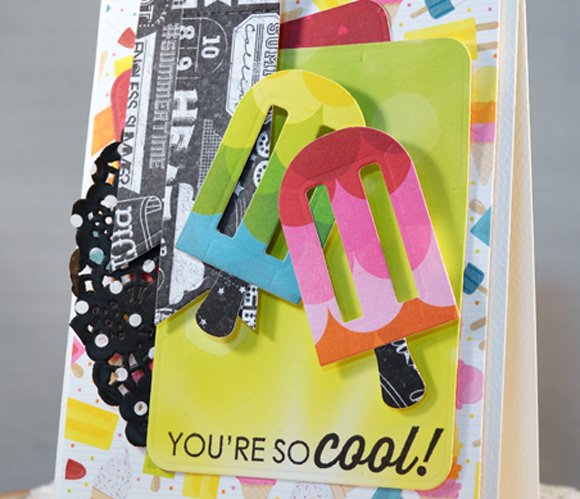 This release is sure to put your creative mojo in overdrive! 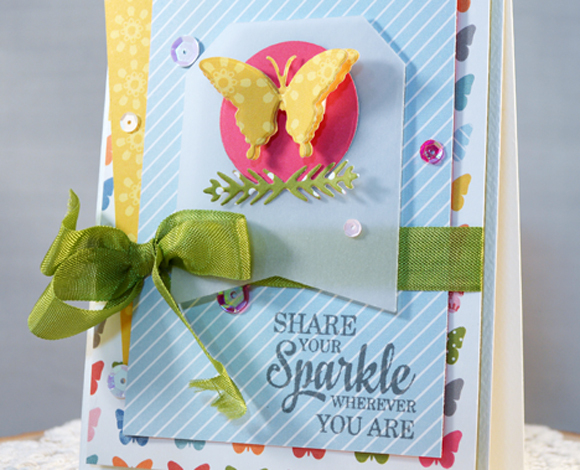 I used the whole kit 'n kaboodle from today's spotlight products on my card...that fabulously delicate Butterfly Dreams Die Set with the must-have Flourished Tag Die Set and the beautiful sentiments in the Sparkly Dream stamp set...all amazing, especially together! I added a bit of ribbon from the Summer Sailing Ribbon Collection and sequins from the Pink Sparkle Sequin Mix. There's a brand-new Viva la Verve sketch up and running today, too! You arrived here by way of the creative genius, Julee...now you're off to the amazing, Teresa..for even more inspiration!